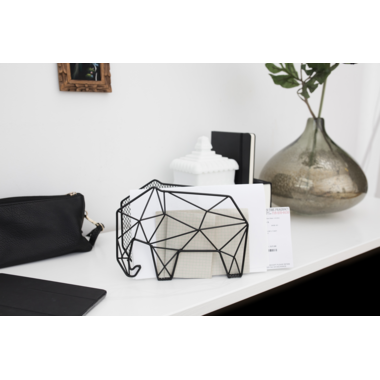 The Kikkerland Elephant Letter Organizer & Key Holder keeps mail or magazines organized. 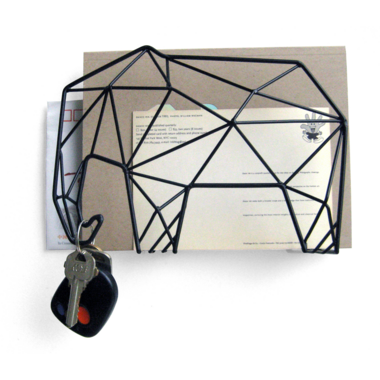 It can sit on a desk or be mounted to a wall. 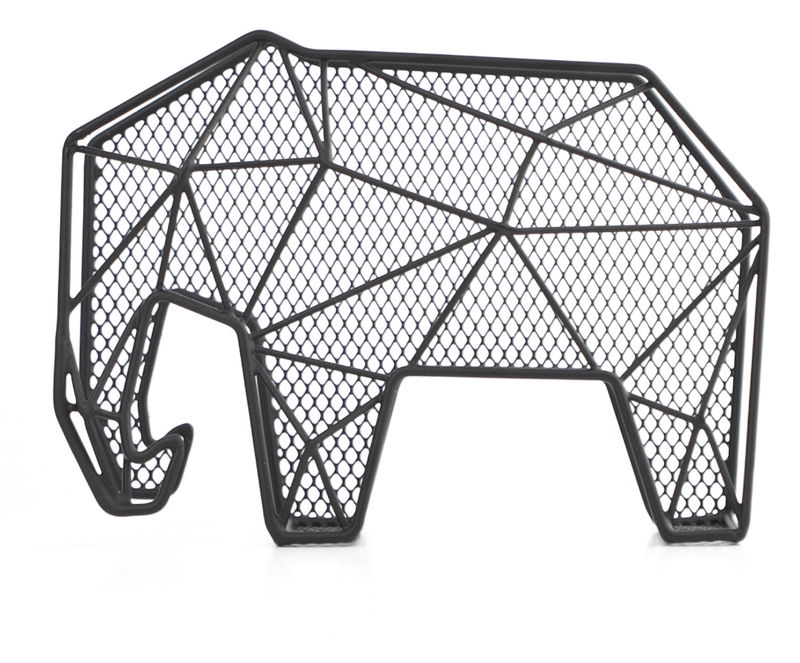 When mounted, its trunk becomes a key holder. Comes with mounting hardware. Baked enamel on steel. Cute design and looks well made. I expected at least some type of divider in the middle but there is none, it is one single space so it is more of a catch-all and not a true organizer. The papers sit on the thin metal rods on the bottom instead of the mesh so if you have only a few papers they will slide down and curl instead of standing upright. Bought the elephant and the bear ones. Both are beautifully designed and well-made. Highly recommend!